Buy online our clothing and fashion fabric Geometrico Decoro 002-01. 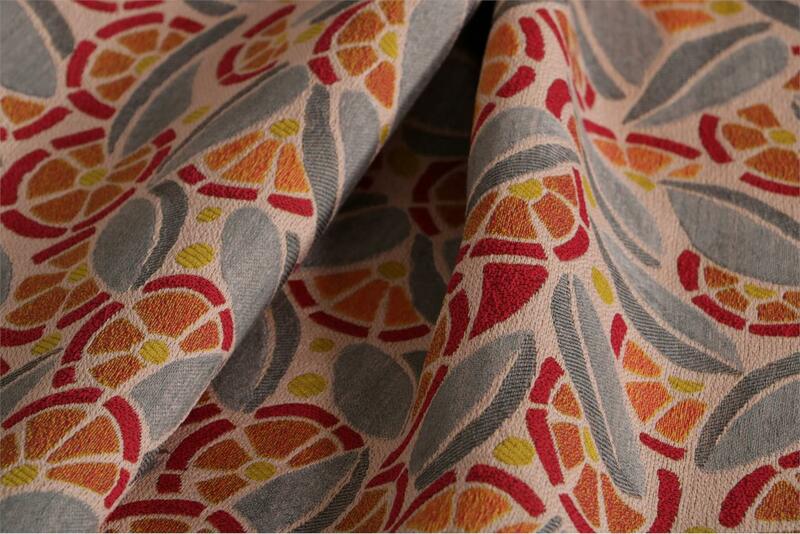 Cotton blend jacquard fabric with floral pattern characterized by geometric shapes, very colorful in shades of red, orange and gray on a pink base. Suitable for dress, jacket, duster. Gray, Orange, Pink, Red Mixed Flowers Jacquard fabric for Dress, Jacket, Light Coat.